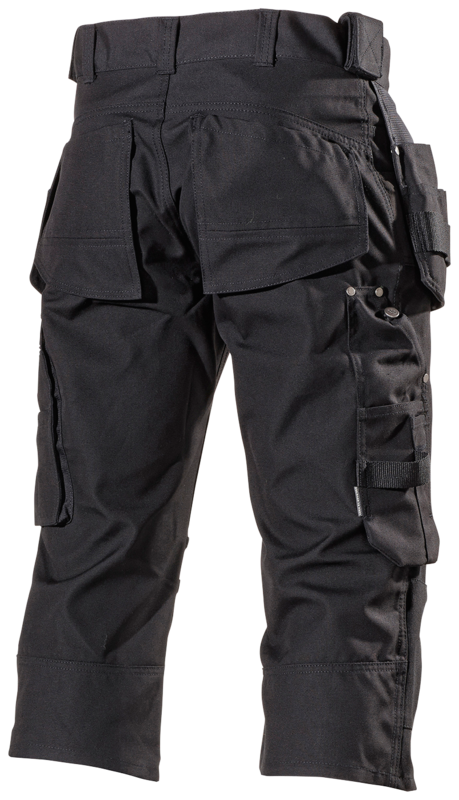 These pirate trousers get their inspiration from the outdoor industry's flexible and durable models. 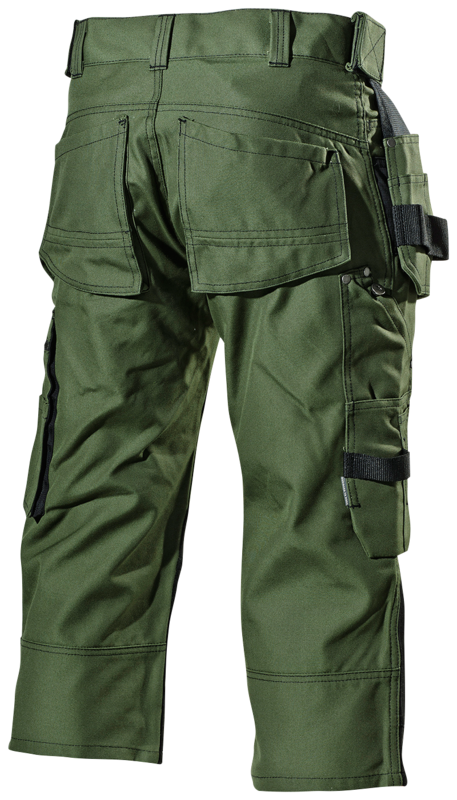 The trousers are flexible, cool and durable. 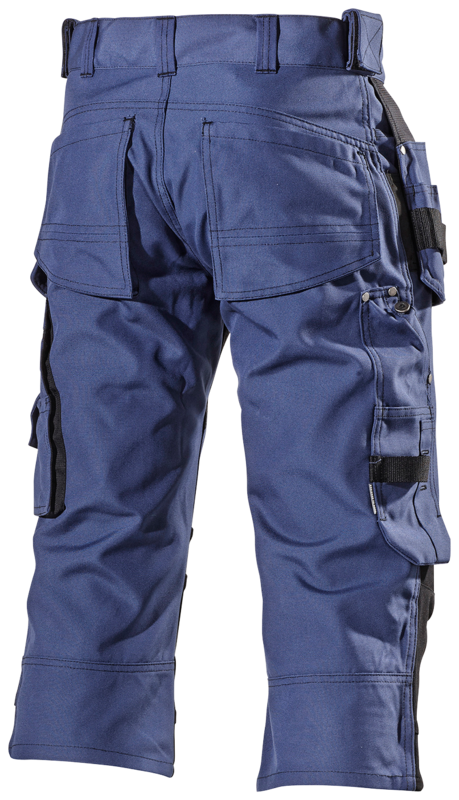 Like the 105PB model, this trouser features the right pockets and details, with stretch Kevlar retained over the knees, the front section and outer rear pockets have been added to make the model suitable to more professional users. Developed with increased space over the legs for people who are out and about during their work. Heavyweight half-panama cotton/polyester weave for best durability. Stretch material at the front, and the front of the knees for good mobility, comfort and ventilation. 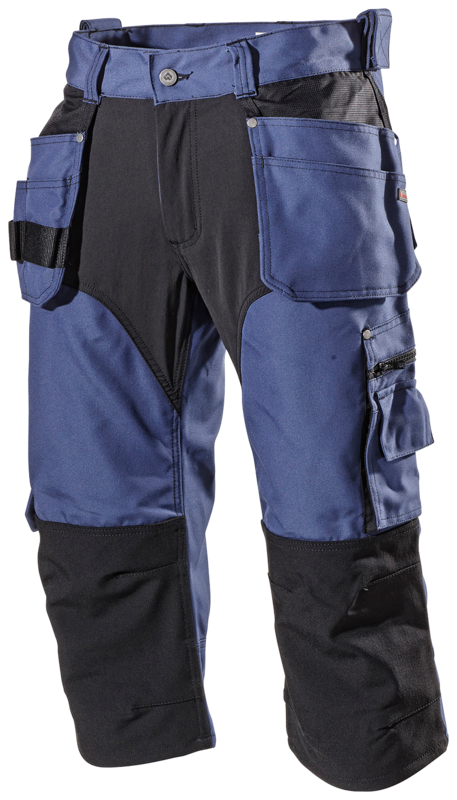 The stretch material and a closer fit combine to create more body-hugging trousers with knee pads that stay put. 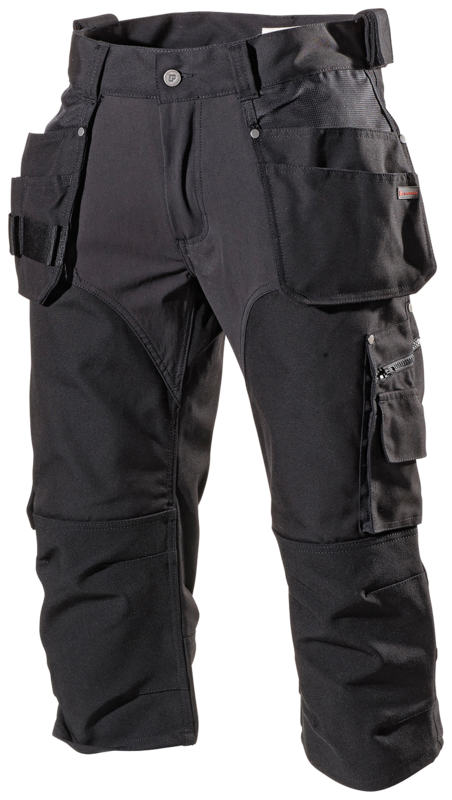 Reinforced knee pad pockets in stretch Kevlar for better freedom of motion and durability. Two hanging pockets, four front pockets, two rear pockets. 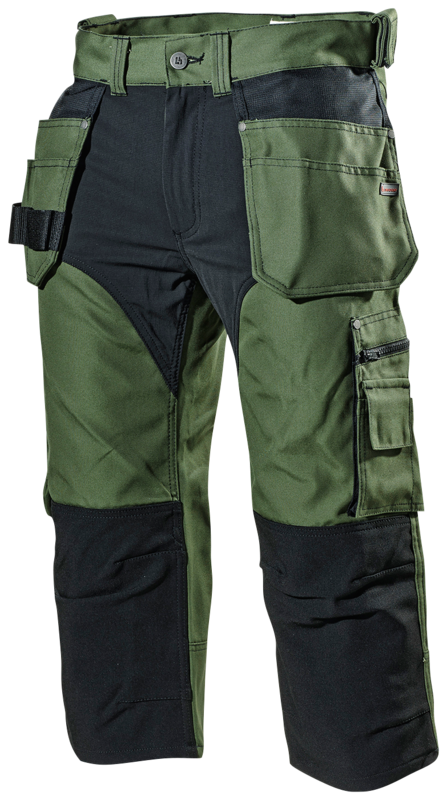 Knee pad pockets at two heights, folding rule pocket, leg pocket with zip. Inside and outside phone pockets. ID card holder on the right-hand hanging pocket. Material and weight: 65% polyester, 35% cotton. 325 g/m².